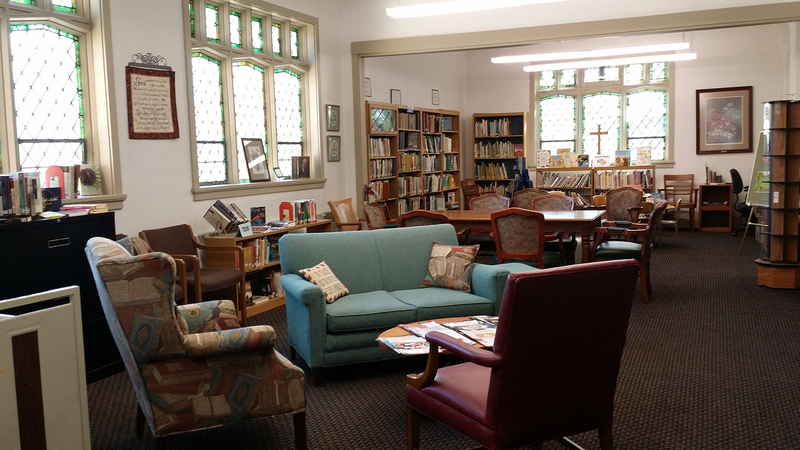 The library is open and staffed each Sunday before and after worship. Members may enjoy a quiet place to read and reflect while exploring the vast array of books, children‘s books and DVDs available for check-out. We have eight books from The Cooper Kids Adventure Series by Frank E. Peretti. His novels have sold over 10 million copies, and he is widely credited with reinventing Christian fiction.